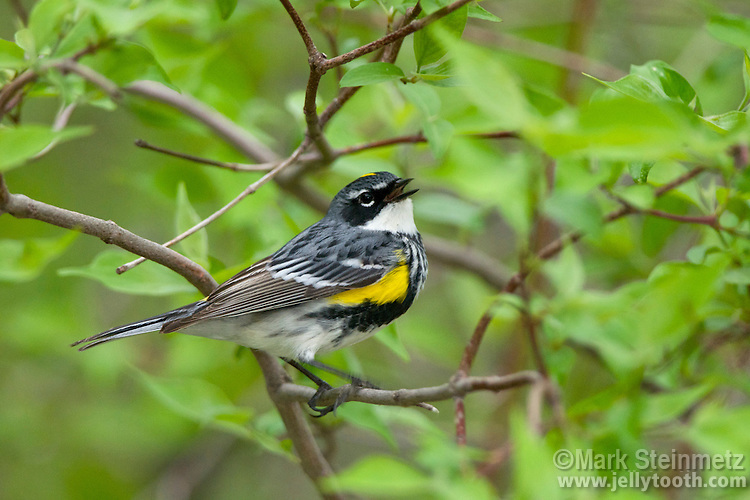 Yellow-rumped Warbler (Dendroica coronata). Male singing in breeding plumage, spring migration. Lake Erie, Ohio, USA.